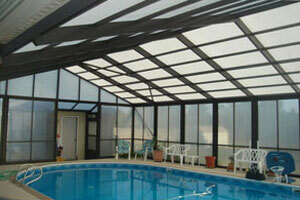 Priced right brand name polycarbonate sheets for indoor and outdoor construction. 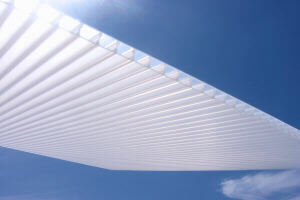 Polycarbonate sheet material (also called twinwall or multiwall) is the perfect glazing for greenhouses and many other indoor or outdoor construction applications. This material translates its many unique features into cost saving benefits for you. 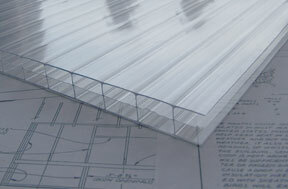 Our polycarbonate sheets are top in the industry and are manufactured by the leaders in polycarbcarbonate sheet extrusion, research and technology. The surface of this material is protected from the degradation effects of UV radiation by a proprietary co-extrusion process. 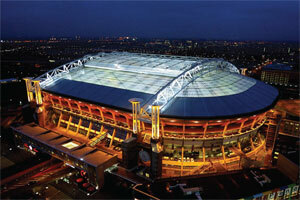 Beneficial infra-red light passes through the material promoting an ideal growth environment. In addition, the resins used to make this polycarb sheet is specially developed for excellent flame retardant properties. Polycarbonate sheet material (twinwall and multiwall) allow effective heat loss reductions when used instead of regular glass. Savings of up to 50% have been documented while using this cover. Single wall corrugated polycarbonate sheets offer most of the benefits of polycarbonate glazing, such as high impact resistance, excellent durability, and 99.9% UV blocking. DYNAGLAS PLUS features built-in condensate control that carries a 10-year warranty. Available in 6, 8, 10 & 16 mm thickness and 48″ & 72″ widthe, plus custom widths available upon request. For thermal expansion, allow 1/8″ per 3′ per 100° temp for both length and width for colors. 1/4″ per 4′ for colors. 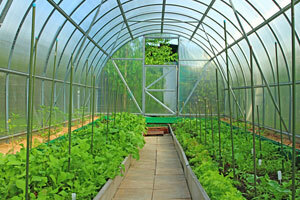 GREENHOUSES ETCETERA HAS GREAT PACKAGING, SHIPPING & HANDLING COSTS!